Andrew Murray was born on May 9th, 1828 in Graaff Reinet, South Africa. Murray had an incredible Christian heritage growing up. His father was a Dutch Reformed minister who weekly read revival accounts to his family, and prayed regularly for revival to come to South Africa. 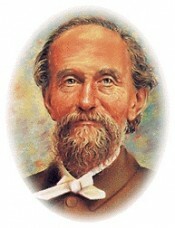 Missionaries traveled through constantly, including David Livingston. In 1838, when Murray was ten, he and his brother John went to study in Scotland. They went to train with their uncle, the Rev. John Murray. In the spring of 1840 the revivalist William C. Burns came and spoke in Aberdeen, Scotland. Burns made a deep impression Andrew. The two brothers then went to Utrecht, Holland, for further theological studies. They became part of a zealous group called “Sechor Dabar” (Remember the Word). Here they found others with the same passion for the lost and the Word of God. News reached them of the revival going on in Mottlingen, Germany led by Johann Blumhardt. It had started through an extraordinary deliverance and led to revival, healing, and miracles. Andrew and John went to meet with him and “saw firsthand the ongoing work of God’s power in his own time.”In 1848 the two brothers were ordained and went back to South Africa. Andrew had a traveling ministry, where he would go out on horseback, for weeks at a time, to hold meetings for the Dutch-speaking South African farmers. It was a time of deep introspection and development of his fire for prayer and the gospel. In 1856 he married Emma Rutherford, the daughter of an English pastor. In 1860 Andrew accepted a pastorate in Worcester. He came, to the church, at the same time as a scheduled conference on revival and missions. Some of what was shared was about the revivals in North America and Europe. The cry of the pastors was that revival would also break out in South Africa. Revival did break out, but not in the way Andrew expected. It seemed out of order, but God impressed upon Andrew that it was His work. Andrew had a completely different view of revival after that experience. In 1877 he traveled to the United States and spoke at holiness conventions all over the country. Murray’s life was preaching and teaching. Then tragedy struck. In 1879 he became ill and his throat was impacted. He lost his voice and began the two “silent years”. These years molded Murray in a new way. He surrendered everything to God. He came to a place of deep humility and love for God and for others. He met with Otto Stockmayer to get a deeper understanding of the theology of healing. In 1881 he went to London to Bethshan, a faith cure home started by W. E. Boardman. He was completely healed there and never had trouble with his throat again. From that point on he knew that the gifts of God were for believers today, and taught and wrote about it. In 1882 he attended the Keswick Convention. This convention emphasized “Holiness” and “Deeper Life” themes. Eventually, in 1895, he became a featured speaker. Here are some additional audio and text resources for Andrew Murray .